A 28 yo female under psychiatric treatment for confusional state and altered cognition. 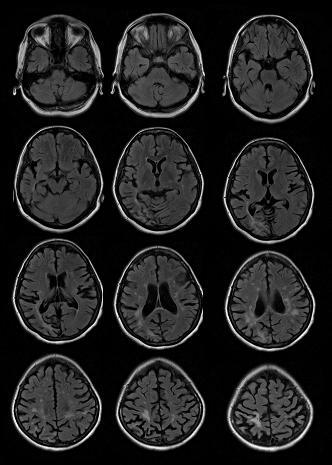 Previous CT report mentions cerebral cortical atrophy. Diffuse cerebral cortical atrophy - mild but significant for age. A chronic infarct involving right medial temporal lobe - right cortical PCA territory. A small right parietal cortical infarct. Multiple chronic lacunes and lacunar infarcts. No significant major vessel stenosis or occlusion on MR Angio. Possibilities suggested in this case were SLE, Anti phospholipid Antibody syndrome. Considering young female pt with psychiatric history goes in favor of SLE. Patient responding well to Steroids and immuno suppressants. An autoimmune disorder that affects many organ systems, including CNS. 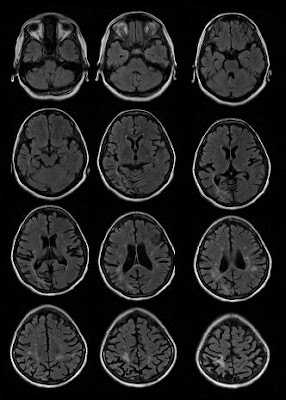 Imaging wise diagnostic clue is age significant atrophy cerebral cortical atrophy with multi focal cortical infarcts, chronic lacunes and lacunar infarcts in white matter. 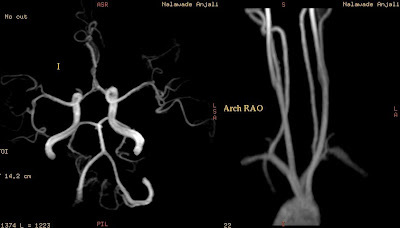 Angiographies as well as Venography both are needed in addition. 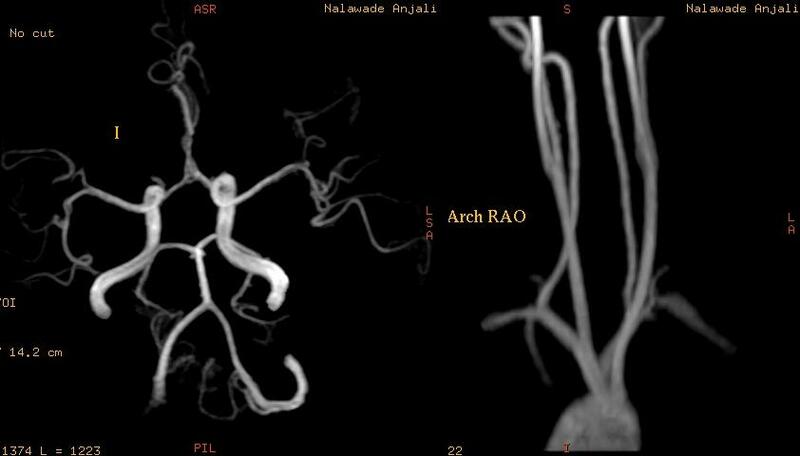 In SLE, CT or MR Angiography often normal. May be abnormal, may show thrombotic occlusion of intra cranial vessels or thrombosed dural venous sinuses especially in cases of antiphospholipid syndrome. - Microangiopathy, Vasculitides Primary angiitis of CNS, Polyarteritis nodosa, Wegener, Behcet disease, Syphilis, Sjogren syndrome. Pathogenesis of NP SLE is likely multi factorial. Genetic predisposition is known; HLA-DR2, HLA-DR3, null complement alleles, congenital deficiencies of complement C4, C2. Neuronal dysfunction mediated by anti-neuronal, anti-ribosomal, P-protein and anti-cytokines antibodies. Circulating immune complexes leading to vascular injury. Endothelial cell activation by cytokines and complement activation leading to occlusive vasculopathy. Antiphospholipid antibodies (APL-Ab) lead to macro and micro vascular thrombosis. Most common signs and symptoms include migraine, seizures, stroke, chorea. Psychosis, mood disorders, acute confusional state, cognitive dysfunction are common. Rarely Transverse myelopathy, cranial neuropathies, aseptic meningitis. Immunosuppressive agents like steroids, cyclophosphamide for Vasculitis. Lifelong anticoagulation for APL-Ab-mediated thromboembolic events. Intrathecal methotrexate and dexamethasone for severe cases.